As the Energy Safe Victoria (ESV) moves forward to ban open-flue gas heaters for a better and safer Victoria after a number of failed carbon monoxide results and an unfortunate fatality, many space heating & some gas log fires will be withdrawn from the marketplace. At Russell’s FTG we have taken the front foot and since 2015 been actively turning over stock to Balanced and/or Fan Forced flue systems. This flue system is not only safe but you also get the benefit of added efficiency. If you are unsure or have any questions, please call 9758 1900. This popular gas inbuilt efficiently heats a medium sized room. 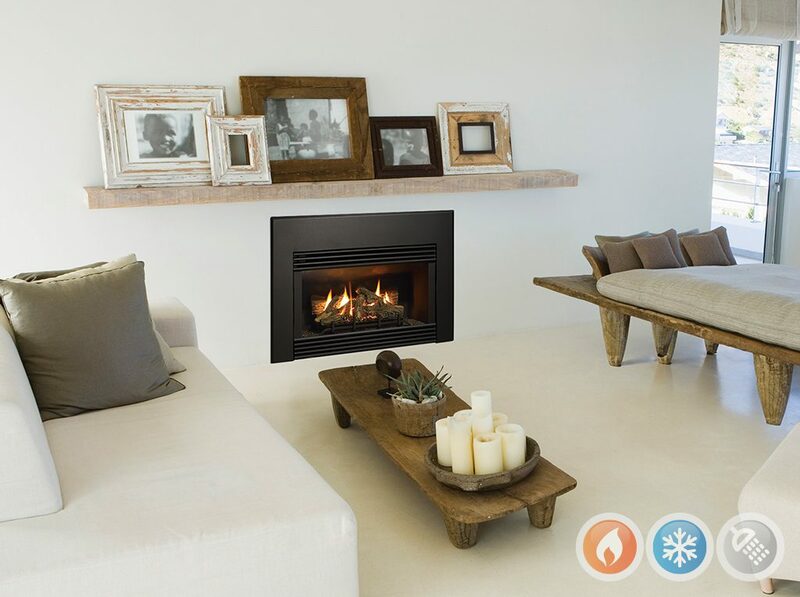 The realistic camp-fire logs and embers are nestled into a compact firebox that fits most fireplaces. Whatever style you choose, Regency quality and the exceptional fire will be a welcome addition to your home.